In 1999, The Disney Channel gave notice to cable operators still carrying the network as a premium service that once their deals were up, they had to relaunch the channel as a basic cable service or stop carrying it altogether. It was a keystone moment for Disney Channel, which would continue to focus on transitioning from a premium cable Walt Disney Company advertisement to an honest-to-goodness basic cable network that could outlive Y2K. Accompanying this key moment in the channel’s history was the ongoing development of original programming. The channel wasn’t new to developing new ideas, but the switch to basic cable also meant the network needed to grow its viewership, which led to a brief creative renaissance. The channel cast a decently wide net, looking for a variety of shows that could anchor Walt Disney’s distinctive identity on television. These ranged from reality series like Bug Juice (which followed students and counselors at summer camp) to single-camera sitcoms like Even Stevens (about the raucous exploits of a Jewish-American family, in particular siblings Ren and Louis) and Lizzie McGuire (about a young girl processing the pains of adolescence through her inner voice, manifested as a cartoon version of herself). The success of two animated series—The Proud Family, about a suburban African-American family; and Kim Possible, essentially Buffy the Vampire Slayer but replacing supernatural elements with spy comedy tropes—foreshadowed the heavy reliance on animated shows in later years. Only three of these early attempts at original programming were dramas: The Famous Jett Jackson (an excellent rumination on race and class as seen through the eyes of an adolescent TV star), In a Heartbeat (based on the experiences of real-life teenage EMT volunteers), and So Weird. In a Heartbeat fell through the cracks—dropped after 21 episodes, it’s a classified failure compared to the rest of these shows. The Famous Jett Jackson was popular enough to justify a Disney Channel Original Movie (DCOM) that wrapped up the series; Jett Jackson would later show up in reruns on ABC Family’s Jetix programming block, then again (briefly) on Disney XD in 2009. So Weird, which premiered the same year as Disney’s two weeks notice to cable operators, was pulled from the channel barely a year after its last episode aired, and has never been seen on television since. The reason why this is the case is one of the main questions this feature will attempt to answer. So Weird is a prime example of a show that was doing a kind of thematic drama no other Disney Channel show at the time was doing; for that same reason, it’s a show the channel can never be associated with again, due to the way the network ended up branding itself during this transitional period. 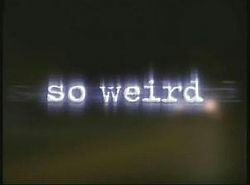 Along with regular discussion of each episode of So Weird will be some discussion about how the show compared to its companions as Disney Channel original programming, how it connects with other genre shows of its ilk (Buffy the Vampire Slayer, The X-Files, Supernatural), and how the show ultimately represents the tonal shift in Disney programming into what the network airs today. 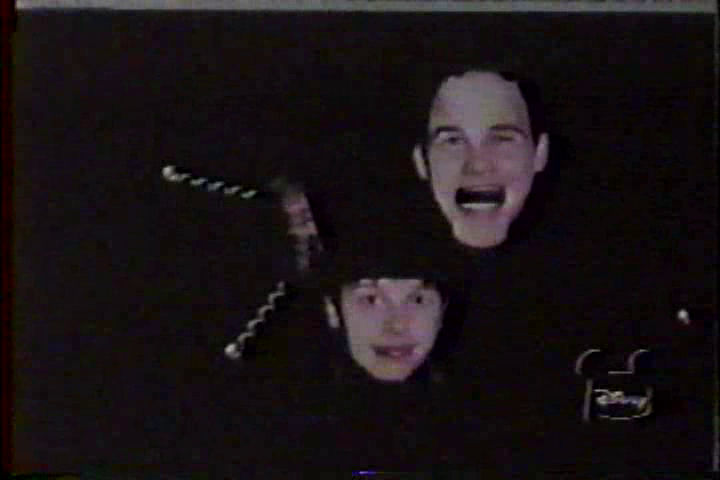 All that said, “Family Reunion” is probably one of TV’s most colorful pilot episodes (and not just in terms of the poor color correction on old VHS tapes). It’s a lively piece of television that manages to establish the parameters of the show without feeling too forced or heavy-handed. Every episode starts the same: Cara Delizia as main character Fiona Phillips (often simply called Fi) delivers a bit of history about the paranormal phenomena at the heart of the episode. But oftentimes, whether or not Fi actually names any paranormal phenomena at the top can be an indicator of where the episode intends to go. Notably, “Family Reunion” doesn’t open with a footnote on ghosts; instead, it’s about two disasters that both happened in Chicago, Illinois—the Great Chicago Fire of 1871 and the 1915 SS Eastland disaster. This emphasis on the impact of supernatural events on humanity is a key part of what makes these opening sections work, especially in season two when the gory details of folklore and mythology’s most famous monsters are on full display for maximum impact. On the other hand, the fact that the show felt so clever for guiding the plot toward a Great Chicago Fire ghost only to divert into an Eastland disaster ghost is this episode’s greatest weakness. (Generally speaking, this is writer/creator Tom J. Astle’s greatest weakness as a writer; thankfully, it isn’t present in all of his scripts, particularly for So Weird.) Fortunately, it ultimately doesn’t end up mattering so much: whether fire or water, the point “Family Reunion” wants to make simply requires a ghost. This ghost just happens to be one haunting the building that hosts Oprah Winfrey’s production company, Harpo Productions; for the purposes of this episode, it’s a multistory club Molly has chosen as part of her comeback tour. Rick Phillips, dead husband and father, is the one who provides a key missing link. The reason “Family Reunion” is not about any particularly heavy paranormal activity is because the show is really about a broken family trying to put itself back together again. Jack and Fi’s sibling rivalry isn’t as simple as the Scully/Mulder dynamic. “I hate this!” Jack yells at her as they’re investigating a secret room in the club. “I hate that you keep doing this! People die, and that’s it! When you die, you’re history! You never come back! You’re gone forever!” Fi’s response: “I’ll never believe that.” Jack’s retort: “It doesn’t matter what you believe, it doesn’t change anything.” On one level, they’re talking about the dead boy whose ghost they appear to be chasing through the halls of the Chicago club, but on a more emotional level, they’re talking about the loss of their father. The way the two characters have processed the event thus highlights and heightens the rift between them. It also shows why Fi is so devout about the paranormal—investigating the weirdness of life is her way of connecting to a father she never had. Being older, Jack had more time with Rick than Fi did, so the loss pushed him to grow up quick in order to be “the man of the family” and especially to be a good big brother to Fi. “Family Reunion” wisely doesn’t parse out all of the details about Rick’s death, instead using the event to show how his death affected the rest of his family. 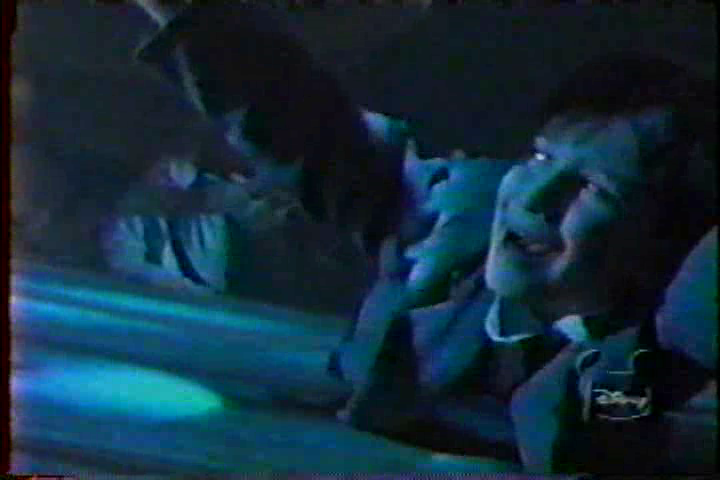 The function of the show’s Creatures of the Week, then, is to emphasize the divide between the characters on the Phillips tour bus and the paranormal events that come with the territory of doing a TV show of this nature. The ghost boy at the heart of “Family Reunion,” tragically drowned during the Eastland disaster and never identified, finally achieves peace when Fi discovers his name inside a jacket within a walled-up room at the club. But the Phillips family is still reeling from Rick’s death—they are not at peace yet. 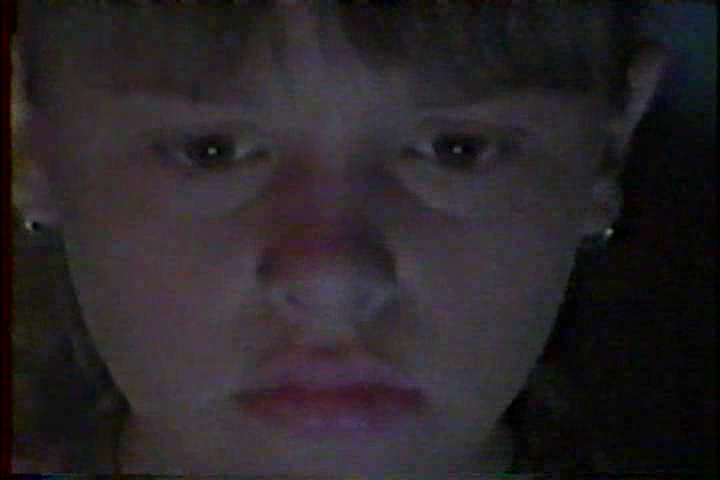 Moments after assuring Fi that he thinks they’re doing okay, Jack tells her, “I think about him too, you know.” Jack is the last to admit it, but he’s not alone in his heartbreak, and the paranormal events that will transpire over the course of the series will force this family’s heartbreak into the open. But the Phillipses are the main focus, and whether or not they’re ready for the big moments—and whether or not Disney Channel was ready for the big moments—is the question. The same year that Disney got serious about being a basic cable channel, and So Weird made its Disney Channel debut, Rowman & Littlefield Publishers, Inc. published the first edition of The Mouse That Roared: Disney and t he End of Innocence by Henry A. Giroux and Grace Pollock. The book’s primary topic is a critique of the impact the Walt Disney Company has on popular culture and, by extension, the people that consume it. As such, it helps contextualize the conversation around Disney Channel’s search for a brand identity, a search that resulted in a drastic change in So Weird‘s tone and content for its third season. For a time, though, Disney Channel was an open book, and So Weird left an indelible mark not just on the channel’s history, but also on the viewers that managed to catch it in its first and only run. Jett Jackson and Even Stevens got the DCOMs, and Lizzie McGuire got the theatrical film, but So Weird was full of guts and imagination that easily matched its most daring contemporaries on other networks. Returning to the show’s illuminations on heartbreak and loss is a powerful reminder of that fact. Cameron White is a freelance writer currently residing in Arkansas. He writes about television over on his blog, Wayward Television, and tweets about all manner of subjects. His obsession with television was founded in 1996 by The Disney Channel and fostered by his discovery of Firefly in the summer of 2007. The sound you just heard was his bookshelf giving up all hope. Great article, I’ll definitely be keeping up with this. So Weird is one of those shows that not everyone remembers, but is important to those who do. It was the only show all of my family not only could watch and stand, but actually looked forward to.